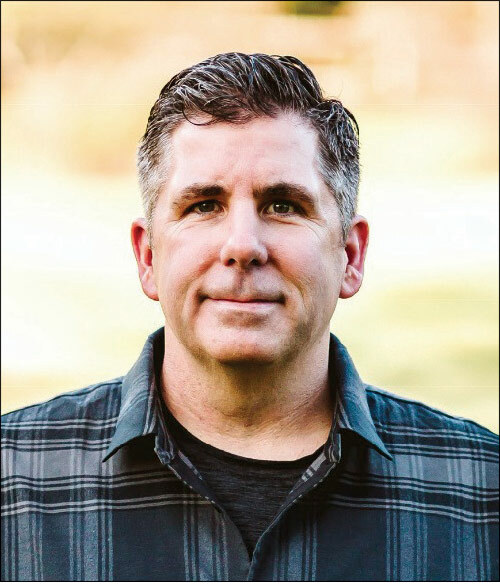 Bob Mullaney, CEO of RG Barry Brands, makers of Dearfoams, Baggallini and Foot Petals, on turning the company from a customer-centric model into a consumer one. Mullaney incorporates a Bill Belichick approach to corporate strategy. Think no stone left unturned and whatever the amount of research and analysis required, double it. A strong game plan is the best defense as well as offense. The way Mullaney sees it, there aren’t really any surprises; that’s just part of this business and one must be prepared for when they (will) happen. “The only real surprise in this industry is that we’re still surprised,” he says. How would you assess your first year at the helm? Better than expected. We now have two new presidents in place and we’ve brought in a lot of talent with different experiences, and that’s helped. We’ve got enough people with the right mindset, new skills and a fresh perspective. We also pulled some levers that we could, ecommerce being one of them. Beyond that, we’ve incorporated an overall consumer focus into the company. It’s changing our overall mindset. Dearfoams delivers: The Family Plan. How so exactly? We have to offer what consumers want. In the case of Dearfoams, it’s about that moment of comfort when they come home each day. Would they rather put on a comfortable pair of socks than a soled slipper to curl up on the couch and binge-watch a series on Netflix? It doesn’t matter which they prefer. All that matters is that we have what they want. Our commitment is to consider the consumer first, rather than just filling slots and meeting revenue goals. It’s to solve the equations of where do our brands stand in the marketplace, what are our consumers’ needs and are we meeting and anticipating them. You’re no stranger to corporate makeovers. Is there anything different about the process this time? Having been through a couple different experiences now, I’m more patient about the cultural mind shift that’s needed within the company than I might have been in previous cases. I’m pleased about the changes we’ve made so far. It puts us in a good position to modernize and grow the company going forward. The good news is we’ll grow this year. In the face of all these changes we’re implementing, you don’t always get off on the right foot right away. But we expect to grow single digits this year and double digits in the next year or so. Tell me about the new presidents you’ve recently brought on board. Last spring, we hired Scott Erdman as president of Baggallini. Most recently he was chief merchant at eBags. He has a strong background in the bag business. We view Baggallini as not just a handbag company, rather a travel bag company. He has a much better mindset as it relates to that business—who the consumer is and how they first get into the brand. He also understands the e-commerce aspect very well. We’re advertising on QVC in the U.S., Japan, South Korea and soon in Germany, England and Italy. We’ve opened up airport stores and expect to be in 25 to 30 locations soon. We’re also building more travel products, including luggage and accessories. If it all goes according to plan, we’ll grow 20 percent next year because of these new initiatives. And the new president of Dearfoams? Tricia Bouras comes from Hanesbrands, where she was most recently vice president and general manager of its shapewear and hosiery categories. She has experiences with some like-minded consumer and marketplace challenges. She oversaw bras (Playtex) and shapewear (Maidenform). The latter category has been in decline, and she spent a lot of time working on how to reposition from packaging to consumer benefits to silhouettes. She also has worked in lingerie and hosiery, which has a lot of similarities with our brands. For example, in some stores, Dearfoams is seen as footwear and others it’s accessories. It’s not all merchandised in the same areas. She understands those aspects well. Dearfoams delivers: ’80s revival warm-up booties. For example? One of our best examples is our Family Plan that we introduced last year in Target and Kohl’s, among other outlets. 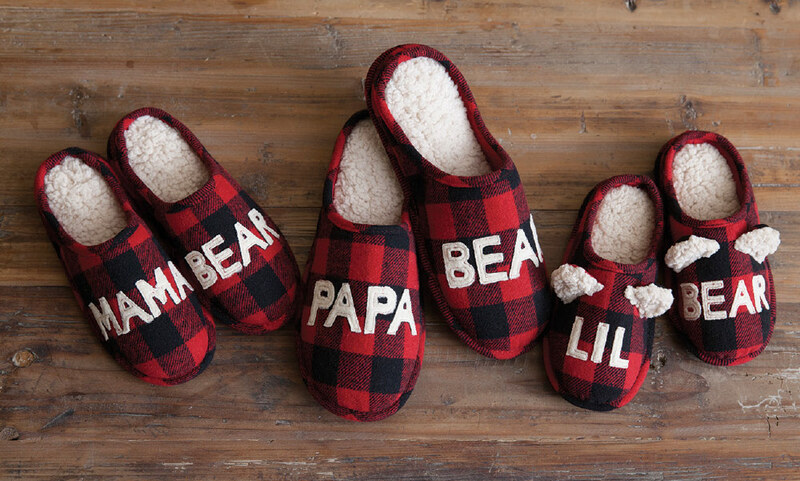 It’s Mamma Bear, Papa Bear and Little Bear themed slipper collections that was merchandised outside of the slipper aisle. We experienced 97-percent sell-through! It became an Instagrammable moment as well as aged us down as a brand immediately. We now have kids under age 8 and women and men between 25 and 40 wearing Dearfoams. Prior to this, our novelty items were very kitschy. We needed to become more emotional. We’ll take that program to another level this year. We’re looking at TV advertising to put a moat around us against knockoffs that will, of course, come. That’s an unheard of sell through. It is. The whole intention of this program was to get out of the slipper aisle and inspire an additional purchase. Nobody went to Target to buy our Family Plan, per se. It was an emotional purchase. The unexpected benefit was the exposure we received on Instagram when families posted portraits in their slippers. We’ve also seen baby announcements posted. Expecting mothers are telling fathers they are pregnant by giving them Papa Bear slippers. It’s become much more than “needing a new pair of slippers.” The bonus in all of this is it’s completely focused on the consumer. What’s on tap for this year? We’ve reached back into our archives to the ’80s and will reintroduce our iconic warm-up bootie. It was one of our biggest items back then. With ’80s nostalgia trending strong now, the bootie also ties into the puffer jacket trend. We do lot of product research—partly so we don’t fall in love with our own ideas—and the initial retail feedback has been super strong. Our bootie has a stable bottom, but it’s not an indoor/outdoor construction. We’re trying to solve the dilemma of consumers not wanting or being allowed to put their slippers on the couch. Apparently, you’re less likely to get yelled at if it’s a sock-like construction. Beyond that, our motivation is to meet the needs of consumers. This slipper will be our next Family Plan. We’ll blow it out across various colors and materials. Anything else? We’re looking to expand our shearling slippers program. We launched Fireside by Dearfoams, which is premium quality at disrupter pricing. Not everybody can afford an $80-$120 slipper. We want that wonderful feeling and benefits of shearling between $70-$85 and, with promotion incentives, priced between $39.99-$59.99. We’ve also embraced our private label capabilities under a new separate division, Columbus Product Group. We’re partnering with Dillard’s and Nordstrom, and we’re in discussions with Macy’s. The major difference from our previous private label efforts is it’s a completely different product development team than Dearfoams. We’re off to a nice start. Without getting too ahead of ourselves, I think it could be a minimum of 10 percent to up to 20 percent of our sales volume. It’s less than 2 percent currently. Sounds like plenty of opportunities for growth across the board. I haven’t even mentioned slipper socks. It’s currently less than 1 percent of our business, and I think it could be 10 to 15 percent. We’re also incubating a few ideas. One is what I call sneaker slippers. You know what Allbirds is doing, but I don’t think everybody wants to pay $95. It’s called Supply Company by Dearfoams, dual gender sneaker slippers with unmatched comfort and can be worn all day. Another idea in the incubation stage is Florence by Dearfoams, which is a nod to our founder, Florence Zacks. It’s inspired by the all-day slippers trend. She wants to be able to wear it to work—cozy on the inside, stylish on the outside. We think that both concepts could grow into an oak tree, but we’re just planting seeds now. Even if they don’t become $200-million businesses, it inspires us as a company to think differently, which is critical in terms of being consumer-centric.